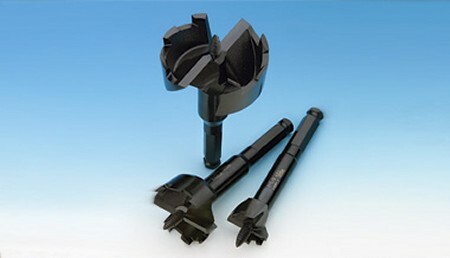 Introducing the new premium line of BUL-Z-EYE™ self-feed wood boring bits from IDEAL INDUSTRIES, INC.
BUL-Z-EYE™ self-feed bits include a number of superior features and benefits that combine to deliver the most outstanding performance of any self-feed bit product available today. 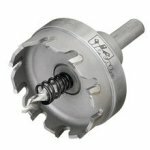 The new design features twin cutting edges and precision ground teeth with up to 50% wider cutting surface. 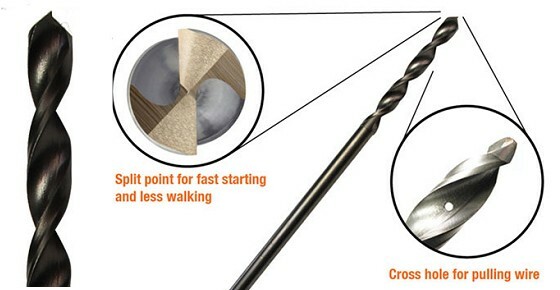 These features deliver improved cutting speeds, better balance and control, and clean more accurate holes then the leading brand in the market. Quickly powers through wet and treated woods with no binding or jamming. BULZ-EYE™ self-feed bits are manufactured with the best materials and machinery available to ensure quality, performance, and consistency. 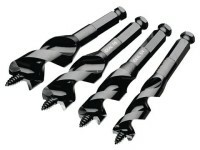 The bits are also black oxide coated, heat treated and hardened for added durability. 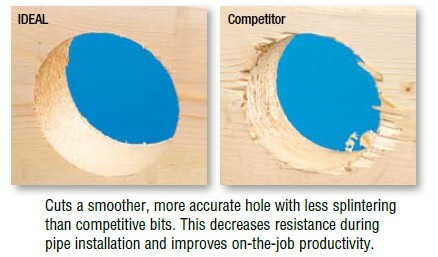 When it comes to quality, performance and durability, IDEAL is the professional’s choice for self-feed bits. 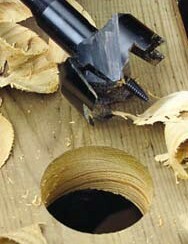 All bits are 4-5/8" long and come with a 7/16" shank designed to easily accommodate all 1/2" drill chucks. Includes: 5-1/2" Extension Bar, 1", 1-1/4", 1-3/8", 2", 2-9/16"
Includes: 5-1/2" Extension Bar, 1", 1-1/8", 1-1/4", 1-3/8", 1-1/2", 1-3/4", 2-1/8", 2-9/16"
for Bit sizes 1" - 2-9/16"